Did You Know? Laurence Olivier reportedly treated Joan Fontaine very horribly, because he wanted his then-girlfriend Vivien Leigh to play the lead role. Fontaine was so shaken by this that Alfred Hitchcock decided to capitalize on it, telling her that everyone on set hated her. This resulted in Fontaine being shy and uneasy – exactly what Hitchcock wanted for her character. MAXIM DE WINTER: Now why would you want to go and do that? Of all the Hitchcock films that I’ve seen – which, admittedly, is not many – this is my favourite. When one thinks of Hitchcock they think of Psycho, The Birds, Rear Window, North by Northwest, and Vertigo. 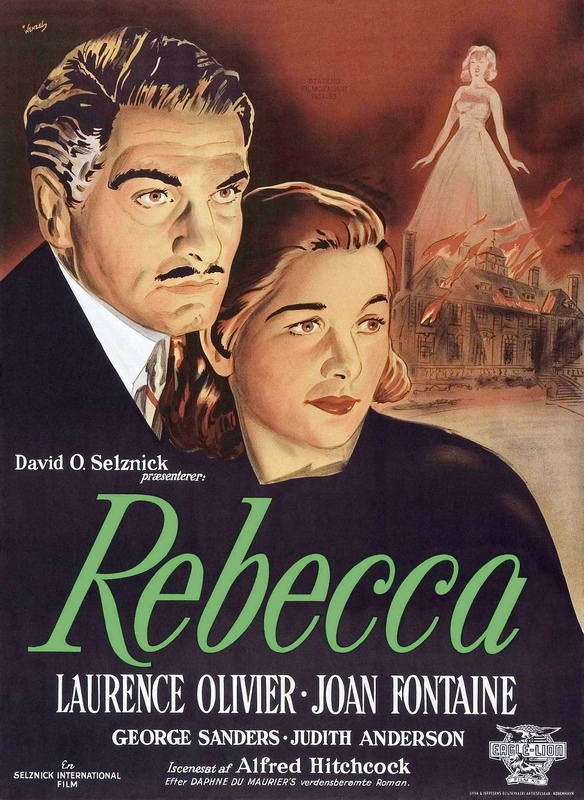 Rebecca is often thrown by the wayside, forgotten. I can see why, it isn’t nearly as terrifying as Psycho, nor as unnerving as Suspicion. But it is still eerie and suspenseful.